Nestled in the beautiful setting of Washtenaw County, the city of Ypsilanti, Michigan is best known as the home of Eastern Michigan University. Located on the Huron River and just six miles east of Ann Arbor, the city is conveniently positioned between Detroit and Chicago, making income property in Ypsilanti highly sought after. Tom is a member of the Income Board of Brokers CPIX and to Visit Tom's Income Site try Clicking here. Comprised of two communities, the area was originally established as a trading post by a French-Canadian fur trader. The town got its name from Greek war hero Demetrius Ypsilanti, and a statue honoring him still remains in the city. Ypsilanti has also had a rich history in the automotive industry. The "ACE" car, Tucker '48 prototypes, and Kaiser and Frazier model cars were all built in Ypsilanti. The area is also well-known for being the site of the last Hudson automobile dealership. Recent changes to Ann Arbor's land value and taxes have caused many people, including the vibrant artist community, to call Ypsilanti home. A semi-annual art festival, known as Shadow Art Fair, unites the community and brings in artisans from near and far. 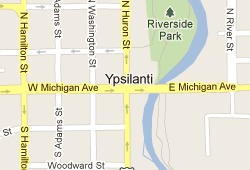 The Ypsilanti Heritage Festival is another community opportunity. Held in August, the festival helps to celebrate all that this thriving city has to offer. Those looking for Income property in Ypsilanti find the easy access to I-94, US-23, and US-275 to be one of the city's most attractive features. The city also has the designation of being a Redevelopment Ready Community. The city's business-friendly climate is shown in the city's willingness to work with entrepreneurs, business owners, and developers to create a great working relationship that is beneficial for the business professional and the city. The statistics also show an area that is ready for new business. Over 95% of the businesses in Depot Town and Downtown are independently owned. The city also boasts a young, educated population, with over 35% of residents having a bachelor's degree or above. With statistics like that, it is easy to see why so many people are eager to call Ypsilanti home. 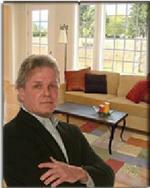 Tom is a member of the Income Board of Brokers CPIX and to Visit Tom's Income Site try Clicking here.